Beetroot Halwa - A dessert which may lower your Blood Pressure! Beetroot or simple Beet is a very ignored vegetable as far as I know. Most of the kids, even adults hesitate to eat any food made out of Beetroot. This may be due to its colour or the taste. But today, I am very much determined in sharing the nutritional value of Beetroot so that we do not miss a great source of nutrition in our diet. "Beta vulgaris, commonly known as beetroot or beet which is the common American English term for the vegetable, is a flowering plant species in the family Chenopodiaceae. Several cultivars are valued around the world as edible root vegetables, fodder (mangel) and sugar-producing sugar beet." says wiki. I never knew that Beetroot is a flowering plant. Beetroot has a high medicinal value and I am sure most of us hate Beetroot for the same reason because we assume that medicines tastes awful. Beetroot contains folate, potassium and manganese. The green leafy tops are highly nutritious as they contain calcium, beta-carotene and iron. I have also heard that the red pigmentation of Beetroot contains some anti-cancer elements and hence have been used to treat cancer too. This is one of a kind vegetable which contains high nutritional value and less calories. Yes! It contains 36 calories for 4oz/100g. Did you know that beetroot juice may lower our blood pressure? "Drinking beetroot juice, or consuming other nitrate-rich vegetables, might be a simple way to maintain a healthy cardiovascular system"
says Professor Amrita Ahluwalia, Barts and The London School of Medicine. The key element here is the nitrates present in beetroot. I have been told that drinking beetroot juice daily in the morning not only helps lowering the blood pressure but also prevents constipation. So pregnant ladies, here comes a handy medicine for your constipation problems. Do checkout the article in BBC news about how beetroot 'may cut blood pressure'. Beetroot can be consumed in various ways which makes the food inviting. One is Beetroot halwa. Halwa is an arabic word meaning sweet. Mostly people in India make semolina/suji halwa or carrot halwa. But trying out halwa with beetroot is a very brilliant way of including a vegetable we hate in the recipe of a food we love. Who doesn't love dessert and that too if it is going to be all nutty! Here comes my Beetroot Halwa recipe. 1. In a pan, fry the grated beetroot in ghee for 2 min. 2. Add the milk and cook the beetroot in a Sim flame. 3. Add sugar and stir occasionally. 4.Make sure that the beetroot is cooked before adding sugar, as sugar will not allow the beetroot to get cooked. 5. Now add the fried cashew and cardamom and mix well. 6. Finally before switching off, add the powdered nuts and mix slightly. A crunchy nutritional dessert ready to be served! You can serve it with vanilla ice cream too. I love this combination. 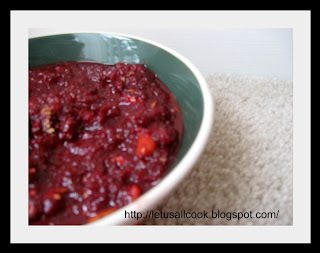 I bet kids won't say a 'NO' to this beetroot halwa recipe! one of my fav dishes..i make it without milk.. will add milk and check this time.. 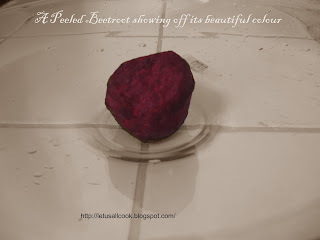 I love beetroot... all that earthiness! I can't make any indian sweets except gajar halwa, so I will definitely try this out. Colorful halwa. Never knew beets are blood pressure reducers. A informative post. mmm. delicious halwa! Nice color! I love beets sangeeth and halwa is the best way to devour the taste of the beets. Really nice recipe... I never knew there is so much to a beetroot, I was bored of making the usual beetroot curry and wanted to try something different with beetroot. This has definitely given me a good start!